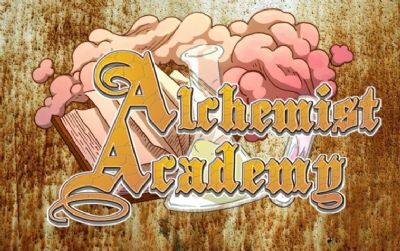 Alchemist Academy is a fast, light-hearted card game for 2 to 6 players and is played in 30 to 60 minutes. Alchemist Academy is a hand management card game relying on 2 decks of cards, a Spell Deck and Shop Deck. The game includes 23 different spells within the spell deck, which consists of 64 cards in total.Along with 6 different component cards which are required in different variations when casting a spell, this deck consists of 120 cards in total.The game also comes with 6 score markers and 6 score cards (1 for each player). Each class (round) players attempt to cast spells on each other and themselves to increase their grade (score). Each of these spells requires the correct components in order to cast it. These components are drawn from the Shop Deck. Some spells are quick and easy to cast and only require 1 or 2 common components to be cast, however these only give the caster a small bonus. Other spells require rare or unique items to be cast and while this might take longer to obtain the right components, the resulting spell is far more powerful. If the spell is successfully cast, there will be some sort of effect and the player who cast the spell gains points. As a bonus if we reach one of our first stretch goals we will produce six new summoning spells such as our Impish friend below and the Goblin at the top of the page. These six summoning spells will be randomly handed out at the beginning of the game giving each player a unique ability that they can draw upon, bringing a whole new dynamic to the game play. Munji Studios is Supported by Game Salute under their feature fulfilment to help bring you our great games. To find out more about our first a game head on over to the Games page.